If you are wondering how to clear acne, here is a very effective acne treatment cream. 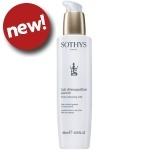 Treating acne is not simple, but the Sothys Active Cream is one of the top acne remedies you can use with great results. useful for all problem skins : oily skin, pimples, blackheads. Primer conceals and reduces the appearance of pores.